"Waproo Shoe Cream Waproo Boot Cream Waproo Hand Bag Cream"
Waproo Shoe Cream provides protection and provides perfect shine to your shoes and boots. 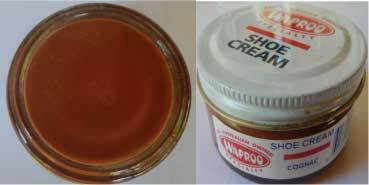 Waproo Shoe Cream or Waproo Boot Cream not only gives shine buth also provide softness to your leather items. 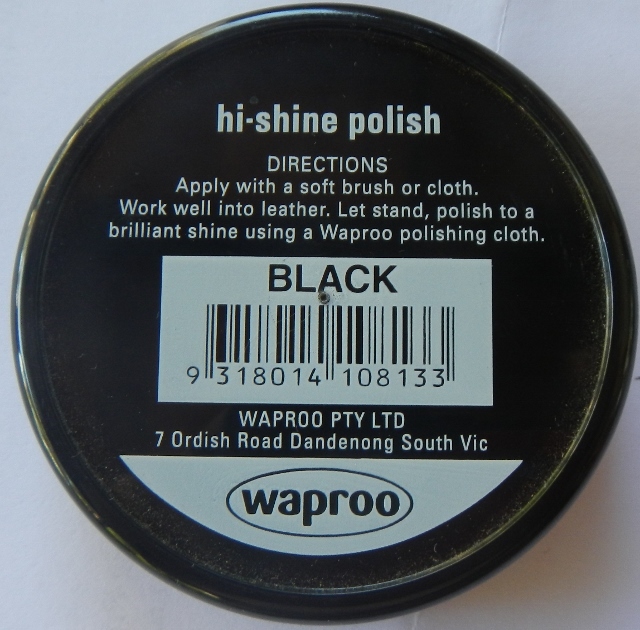 Waproo shoe cream can also be applied to leather handbags . Place small quantity of waproo shoe Cream on soft cloth and apply evenly. Allow to dry before polishing. Waproo Protector Shoe Cream is made of premium natural waxes,lanolin and waterproofing agents which not only ensures a perfect shine with exceptional softness, it provides protection to all smooth and grained leathers. A high colour coverage cream that cleans, colours, nourishes, polishes and protects. Resists soiling.